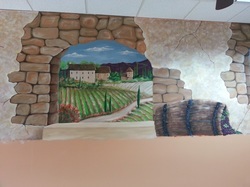 This mural was done for Papa Luigi in Sweedsboro, NJ. It was a combined effort along with Tucker Stouch, artist and great friend. There will be an 'Opening' scheduled when the new booths and other installations will be completed. 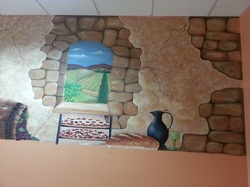 Finished size was 5' x 25'.